As a parent, we encourage you to be familiar with possible signs of hearing loss in your children and to contact our Audiologist in Beamsville (Niagara) if you have any questions at all. There are a number of potential causes for hearing loss in a child. 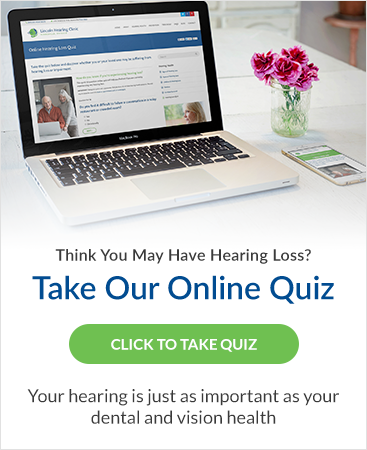 Congenital hearing loss, a condition at birth, can be caused by genetic factors, but it also can be caused by other things, like an infection during pregnancy, prematurity, injury at birth, and other health conditions. Acquired hearing loss (after birth) can result from various causes – including viral and bacterial infections like meningitis or the measles, frequent ear infections, a head injury, or exposure to very loud noises. Parents often look long and hard for the right fit for their child when they suspect hearing problems. We understand the challenges parents face – emotional, physical and behavioural – and we're here to help every step of the way to ensure everyone in the family hears each other as best as is possible. The vast majority of newborns will receive a hearing screening before discharge from the hospital. While these screening tests can detect 80 to 90 percent of infants with moderate degrees of hearing loss and greater, it is important to understand that no screening test is perfect. Children with mild hearing loss may pass newborn hearing screenings, and hearing screenings for newborns cannot identify children with late onset or progressive types of hearing loss. If your child has any known health or learning needs, speech, language, or developmental delays or a family history of early hearing loss, more frequent screening may be recommended. Frequent use of "what?" or "huh?" Only an audiologist is legally allowed to provide testing on children or anyone under the age of 18. If you'd like to schedule a consultation, please complete the form below or contact us by phone.